Nashville, Tenn. (Apr. 27, 2018) – Bright Ones, formed as an extension of Bethel Music and Bethel Church as a ministry for creative youth, released their self-titled album today, available now. Breaking the mold of kid’s worship, the album features a diverse pop-influenced soundscape with a mixture of re-invented covers and original songs written by members of Bethel Music. Featuring the unique talent of nine kids ages 12 to 16, the inspiring collection of songs invites listeners to experience what is possible when a group of young people fully believe they are the light of the world carrying a message meant to impact others. Bright Ones is now available here. Bright Ones is ministry formed as an extension of Bethel Music and Bethel Church in Redding, CA for creative talented youth and kids who love God and want to see His Kingdom expand through music, movement and multimedia. Motivated by the brilliance, beauty, and goodness of God, Bright Ones seeks to tell God’s stories through music, films, videos, stage events, teachings and resources that inspire and equip youth and children all over the world. Their first album, Come Alive, released under the name Bethel Music Kids in 2015, and won a Dove Award for Children’s Album of the Year, with their EP Christmas Party (2016) following shortly after. Bright Ones’ latest self-titled project is available now. Nashville, Tenn. (Apr. 23, 2018) – LEDGER, the self-titled debut EP from drummer and vocalist Jen Ledger of multi-platinum selling, GRAMMY® nominated rock band Skillet, made the highest debut on Billboard’s Top Christian Albums Chart, hitting Top 5 on Rock charts as well as No. 2 on iTunes Rock Albums chart and No. 7 on iTunes Overall Albums chart. The album was released on Apr. 13, via Atlantic Records in partnership with Hear it Loud, the imprint encompassing the creative team of Skillet’s John & Korey Cooper and longtime manager, Zachary Kelm. With an engaged and ever-growing social media presence, the latest signee for Atlantic Records and Hear It Loud debuted her solo endeavor, LEDGER, on April 13, now available. 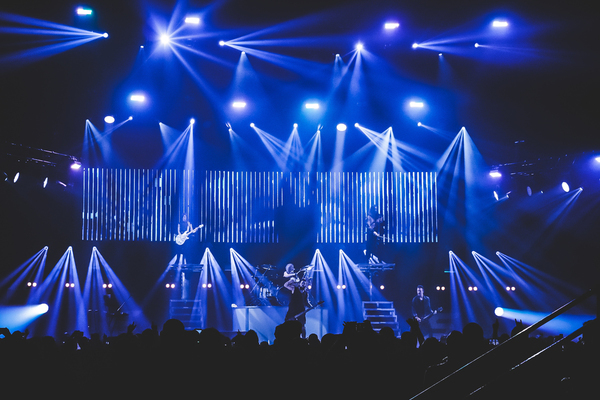 September 22 – 9:30 Club – Washington, D.C.
Kim Walker-Smith has become one of the strongest voices in worship music as a passionate worship leader bringing an entire generation into an encounter with God. Her heart is to see people transformed by experiencing God’s love and for this generation to see themselves the way God sees them. Kim has been a part of Jesus Culture since the beginning of the ministry. She carries a genuine heart to see worship change the course of lives and nations. Kim is married and she and her husband have three children. Nashville, Tenn (Apr. 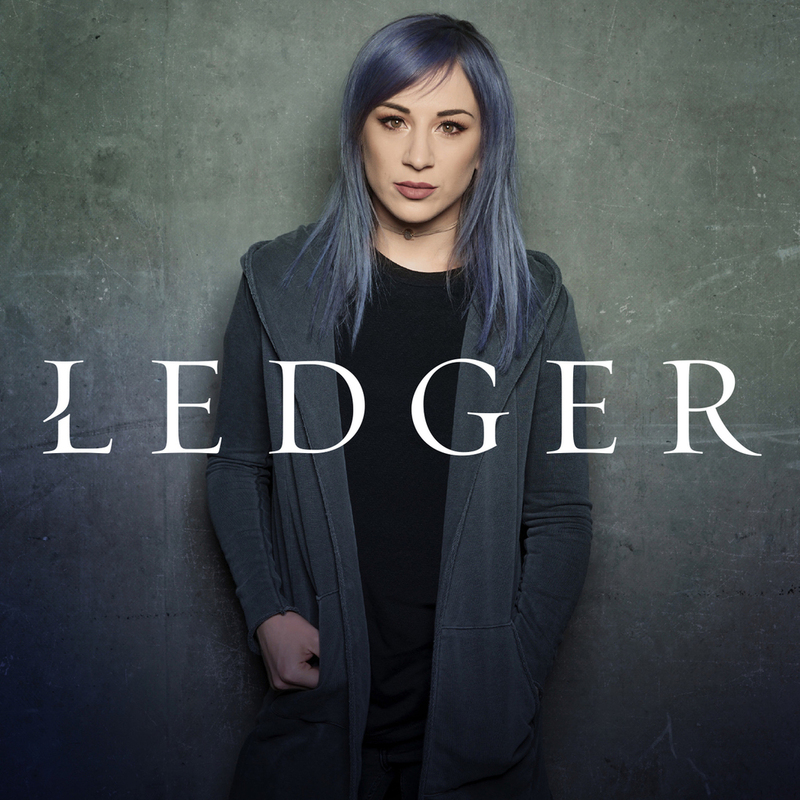 13, 2018) – LEDGER, the self-titled debut EP from drummer and vocalist Jen Ledger of multi-platinum selling, GRAMMY® nominated rock band Skillet, released today to critical acclaim. Ledger’s unique vocals and powerful stage presence have given her a distinct role in Skillet since joining the band when she was just 18. 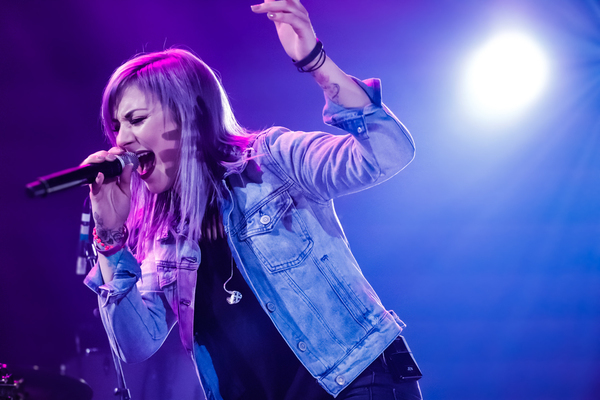 Stepping out from behind the drums as her own frontwoman, LEDGER collaborated with Skillet’s John and Korey Cooper, as well as GRAMMY® Award winning songwriter and producer Seth Mosley who, together with Korey Cooper, produced the six-song project. LEDGER has accomplished a sound uniquely her own in her self-titled, debut EP. CHRISTAFARI return April 13th with their latest studio album, “Original Love” (Lion of Zion Entertainment) – available now for pre-order at iTunes, with 4 instant tracks available upon purchase. After nearly three decades, CHRISTAFARI is the all-time top selling Gospel Reggae act and continues to be a driving force in world music. Their last 6 albums have debuted at #1 on the Billboard Reggae Chart. But the band considers themselves to be more than just musicians, but rather “musicianaries” (musical missionaries), spreading the message of hope and salvation globally to approximately 20 countries per year. 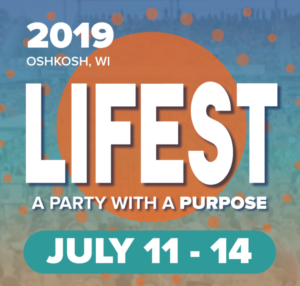 CHRISTAFARI was founded in 1989 by Pastor Mark Mohr, who strayed from his spiritual upbringing in his teenage years and turned to drugs and alcohol. After running away from home, living on the streets, and hitting rock-bottom, he had an undeniable encounter with God that drastically transformed his world. Just two weeks later, CHRISTAFARI was birthed at a camp talent show, when a friend said to Mohr, “So you’re not a Rastafarian anymore; you’re a Christafarian.” And the name stuck! While their name may just sound like a play on words, in Biblical Greek it stands for a group of people who bear or represent the name of Christ. “At that time, the best advice I was given was to go to Bible College so I could be theologically and doctrinally sound,” says Mohr, who attended BIOLA University, taking classes that emphasized pastoral studies and missions. During his college years, CHRISTAFARI continued to take shape as Mohr wrote songs for the band’s first three albums. CHRISTAFARI has performed in 46 states, over 74 nations, at two Olympic Games and even for a Presidential Inauguration in Washington D.C. The band has performed at most major reggae and Gospel/CCM festivals with the top artists in the genres, and they’ve had the privilege of performing at many of the country’s most prestigious venues such as L.A.’s Greek Theater, Dodger Stadium and the steps of the United States Capitol before a crowd of 500,000. The band has been featured on The 700 Club, CNN, MTV, MTV Brazil, ABC, TBN, JUCE TV, BET, TBS and many more. Their music is even featured in the current curriculum taught at Carnegie Hall. The band’s YouTube channel sees well over one million views each month. “Aside from touring,” says Mohr, “our greatest platform to reach the world is YouTube, so we’re doing our best to maximize it with the few resources that we have.” Over the last few years, CHRISTAFARI has released roughly one music video per month through their Rank and File Film Co. So they became full-time musical missionaries – willing to travel to the ends of the earth in an effort to preach the Gospel through the universal language of music to those who could never afford them in conventional terms. Each of the members in CHRISTAFARI has the same mission and vision, a commitment that requires tremendous sacrifice and discomfort. But this is right where they believe the Lord has called them. Seeing lives changed across the globe makes it entirely worth their while, and the results have been astonishing. In 2016-2017, the band saw over 231,000 decisions for Christ at their outreach events. They are well on their way towards their goal of seeing one million decisions for Christ within the next decade.